Our certified onsite technicians are fully qualified and insured to resolve almost any issue you have relating to your personal computers, operating systems, hardware, data recovery and peripheral devices. BSEP provide effective, stylish and affordable website design and development. As a well established small business web design company, we can offer you high quality website creation & a range of affordable web design services. 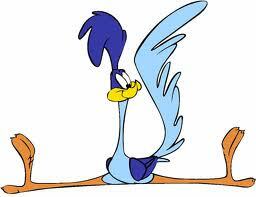 • Road Runner Internet: Blazing fast downloads at 10Mbps, this is faster than Dial Up or ..DSL. Only $29.99 per month. Installation only $19.99, NO CONTRACT. • El Paquetazo Double Play: Digital Cable with MORE spanish channels and blazing fast Internet only $59.99 per month. Installation only $9.99. First month of service is FREE. Showtime is FREE for 12 whole months!! *All fees paid directly to Time Warner Cable. Other fees may apply. For new customers only. Call us for the best deal! OFFER EXPIRES SOON! ! * Contract required for Business Class service. Lower price may be quoted by combining services. Installation charges may apply. Please call us for details. So whatever your needs are, we have a solution. Contact us today..!